Designed to maintain a subtle balance for optimal sleep comfort, without compromising on style, our 6ft super king size divan beds offer an exceptional option for the master bedroom. At Divan Beds Centre we have a great selection of affordable, high quality, spacious luxury beds that are fit for kings and queens. Our 6ft super king size beds boast generous dimensions to ensure that you relax and rest in superior comfort every night. 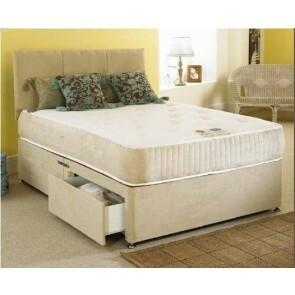 To complement your bedroom furnishings and décor, choose from traditional 6ft super kind size divan bed bases on legs, modern divan bases that feature pull out drawers, or contemporary Ottoman style hydraulic lift bed bases. For a designer touch, select a super king size divan bed that is upholstered in sumptuous soft fabric or faux suede and leather finishes. All of our finest quality 6ft super king size divan beds include a solid timber base, easy glide castors and headboard attachments. Jumbo storage drawers positioned on the RH side or the LH side are optional. To meet your storage needs, our 6ft super king size divan bed bases incorporate a generous capacity that can be accommodated with 2 or 4 standards drawers, or a single long drawer on the bottom side. 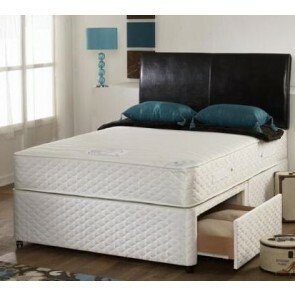 Browse our collection to find your perfect 6ft super king size divan bed for the master bedroom. Or select your bed by mattress type. 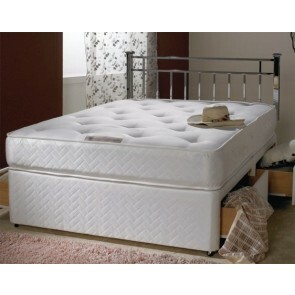 Choose from fully turnable, comfy coil sprung, pocket sprung, memory foam, and pocket sprung and memory foam mattresses for the ultimate sweet dreams. Our beds with orthopaedic mattresses offer luxurious features and medium firmness support to alleviate pressure to the back, so that you can enjoy a restful and comfortable sleep. 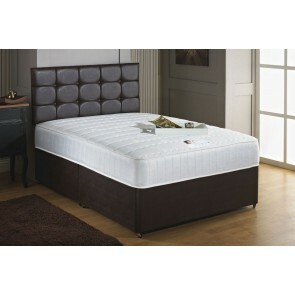 Our superior quality mattresses are tufted with multiple layers of hypoallergenic filling. 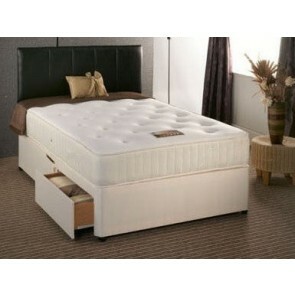 Zip and link 6ft super king size mattresses are also available. 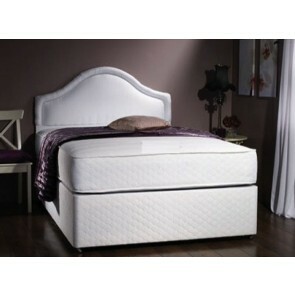 6ft Super King size divan beds (180 cms x 200 cms - 60 inches x78 inches) are available with following mattress type.